Surya and Director Hari Shoots Without break for Singam 2…. Director Hari known for his speedy style of working is continuously shooting without even a single day’s break for his upcoming flick Singam 2 with Surya – a sequel to his earlier blockbuster Singam. 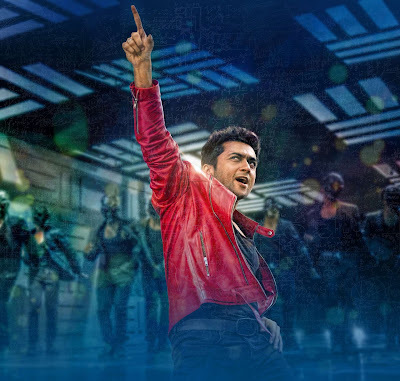 The film has Anushka and Hansika romancing Suriya who plays an upright cop in the movie. The second schedule of shooting in which commenced in Hyderabad, shifted to Karikudi after few days. From there the crew travelled to Kuttralam and then Thenkasi. In the next couple of weeks, the crew will be shooting at Vagamon, the scenic Hill station in Kerala for canning some important scenes. - By a Leading English News Paper. Ø Vaaranam Aayiram Film Details.